A danger lurks for some of us who have grown up hearing the biblical Christmas account. We can forget that the details should evoke a response that goes beyond simply retaining facts about angels, shepherds and mangers. We can become so accustomed to the events themselves that we miss what God wants to reveal about his character through them. As I studied the account recently in preparation for teaching on the subject (Hello new Sarnia friends! 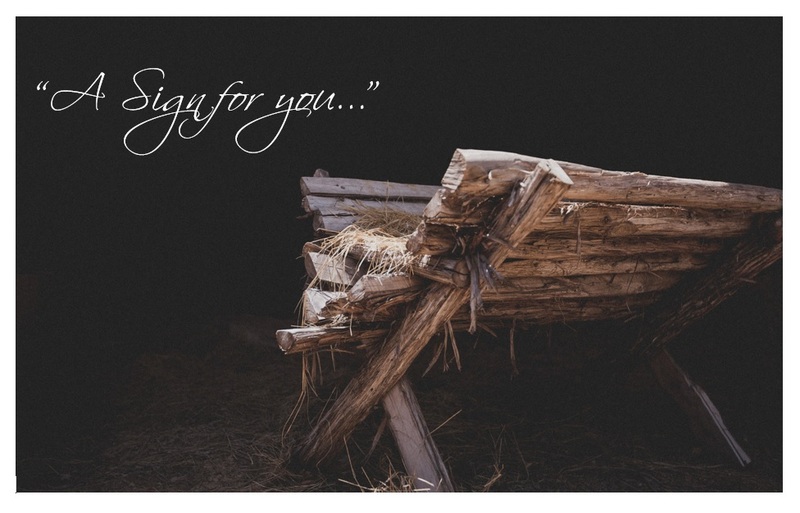 ), I was captivated by the difference between God’s invitation to the wise men and the shepherds. That difference provides us with a beautiful picture of God’s care for humanity and I’m delighted to share it with you as we head into the Christmas season. Let’s reverse the guest book order for a minute and look at the wise men first. How many people at that time in history had studied astronomy enough to notice a new star? How many had enough exposure to other cultures to understand that it could mean something, and if it did, what it might mean and where to go as a result? How many people had the financial means to travel long distances, or just take off from regular life for 12-18 months to participate in a cross-country excursion? Or how many had the position and social aptitude to cold call a member of foreign royalty? Not many. But the wise men did. So God drew them with a sign they understood that catered to the knowledge and resources they possessed. If God had given the shepherds a cosmic or complex sign, our modern Christmas pageants might be void of little boys in bathrobes, because I don’t think the shepherds would have made it to the manger. If a distant star had been given as their sign, the shepherds lacked the intellectual, financial or positional resources required to do anything about it. So what did God do for the shepherds? Did you catch that wonderful phrase? They were told the message. This was good because they probably weren’t literate nor did they have access to the scriptures even if they were. They were given same day news. This is helpful because they probably weren’t men of order and planning, apt to undertake a future visit. They were given an obvious local destination. The City of David. That wasn’t hard. They had heard Bethlehem referred to as that since they were lads. And it wasn’t far away which was good because they lacked the finances and job security to embark on a long trip. They were given specific details on location. A manger. That’s easy. If you’re a drunk, you know where the taverns are. If you’re a merchant, you know where the markets are. If you’re a shepherd, you know where the stables are. And a baby. That’s obvious. A baby IN a feedbox? That’s definitely peculiar enough to help narrow things down. Just as with the wise men, God drew the shepherds with a sign they understood that catered to the knowledge and resources they possessed. These two groups of men were vastly different. Near & far. Passive & active. Poor & wealthy. Jew & Gentile. Uneducated & scholarly. Yet God drew them both to find and worship the Messiah by means perfectly suited for them. As you read the Christmas account this year, please don’t miss truth in the details – that God’s care for us is so beautifully personal. I’ve seen it in the pages of scripture. And I’ve seen it on Sunday mornings when the same row at church holds recovering drug addicts and crown attorneys. Stay-at-home moms and doctors. And everyone in between. The invitation to find Jesus Christ is not constrained by power, position or uniformity. God knows who we are. Feel free to take it personally. Excellent reminder to always be reading the word with a fresh pair of glasses. Never picked up on the 2 distinct invitations in the Christmas narrative before. I love this message! This is beautifully written, and although I’ve heard the Christmas story all my life, I’d never noticed that before! Thank you! Thank you Janet for this fresh perspective! I love how personal God is!